The 5-inch ‘Emile Berliner’s Grammophon’ plates (as they were known), made in Germany circa 1890, were the first gramophone records to go on sale. 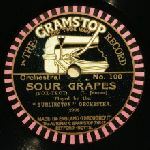 7-inch discs began to be made in the USA in 1894, and the formation of the National Gramophone Co. in 1896, to exploit the Gramophone and its records, led within a few years to a new international industry with various companies making 7-inch and 10-inch discs. 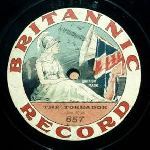 12-inch records followed in 1903. 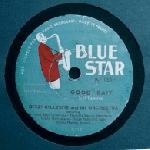 The so-called 78 rpm record, usually pressed in shellac, continued to be made until about 1960. Record collecting falls into several categories, but the most popular aspect is the repertoire – collected variously by artist, composer or type. Others collect and study the myriad of label designs. This can encompass not only the colours, logos and designs of the labels themselves, but also the various code letters and numbers that can appear on, beside or even under the labels, and the physical characteristics of the discs themselves. By this means, much can be understood of the relationship of different brands, which often used other companies’ recordings, and of the true identity of singers appearing under pseudonyms. Such information may be of interest to the first group of collectors, and is also invaluable to historians of the recording industry as a whole.